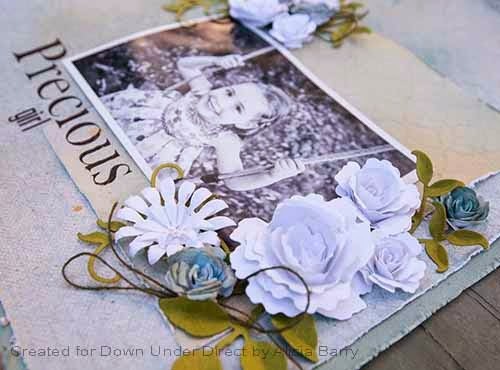 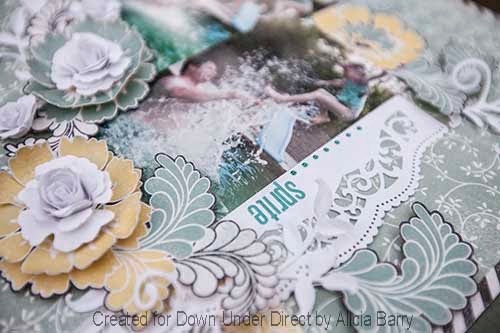 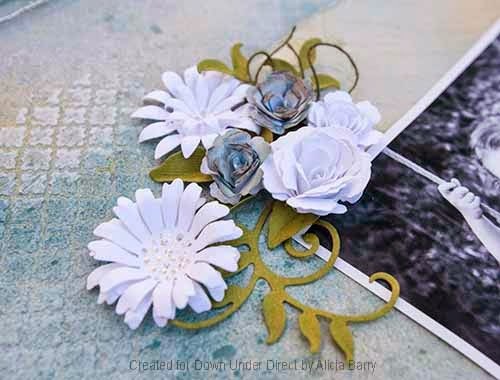 I love that we can manipulate paper and cardstock to make them look like something else. 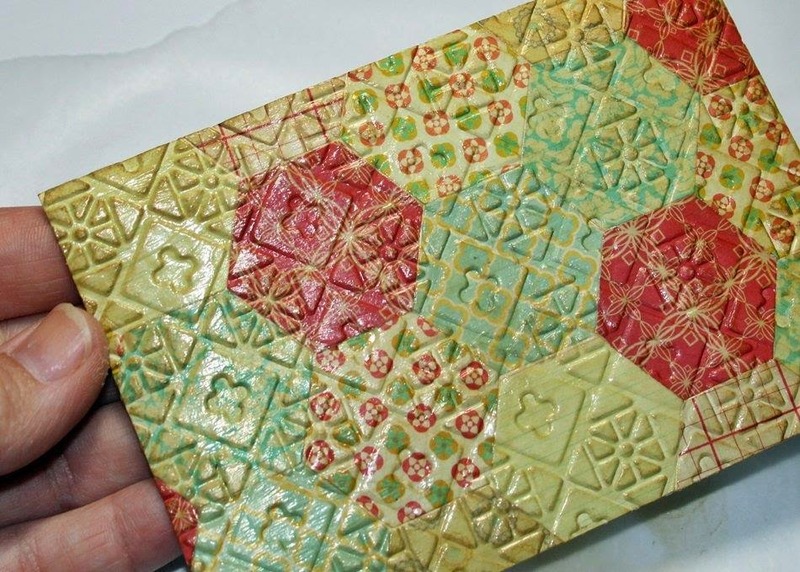 Here I paper piece, emboss and then add gloss to make a piece that looks like a ceramic tile. 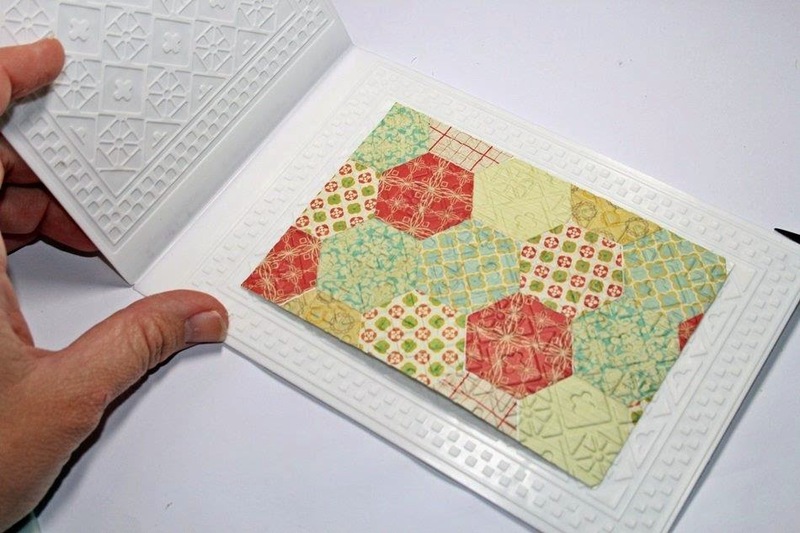 It reminded me so much of the hand painted tiles I saw in the Alhambra in Spain, that I incorporated the piece into a Bon Voyage card for a traveller. 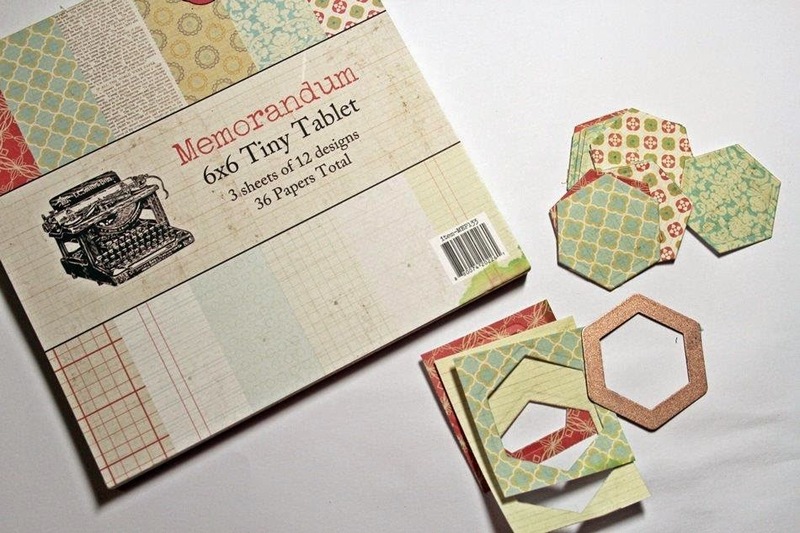 Cut shapes that will tessellate (eg hexagons, squares, rectangles) in a variety of coordinating papers. 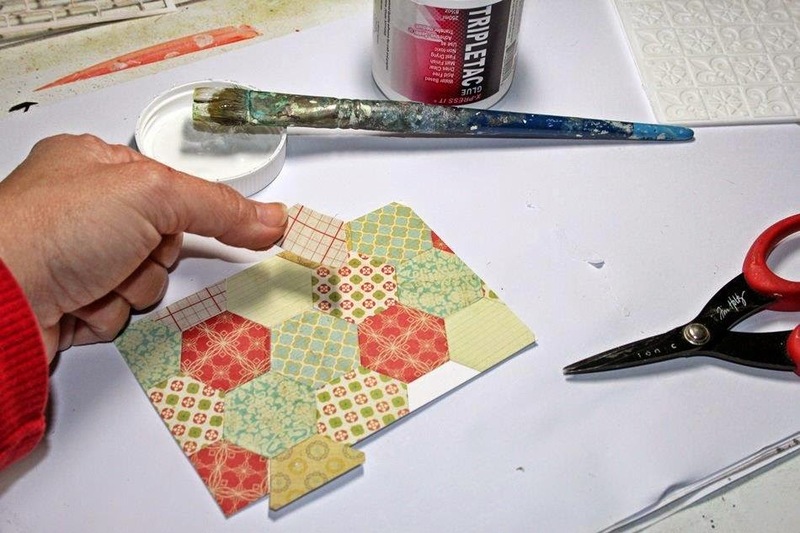 Using Triple Tac, adhere these shapes to a piece of cardstock that has been cut to size. 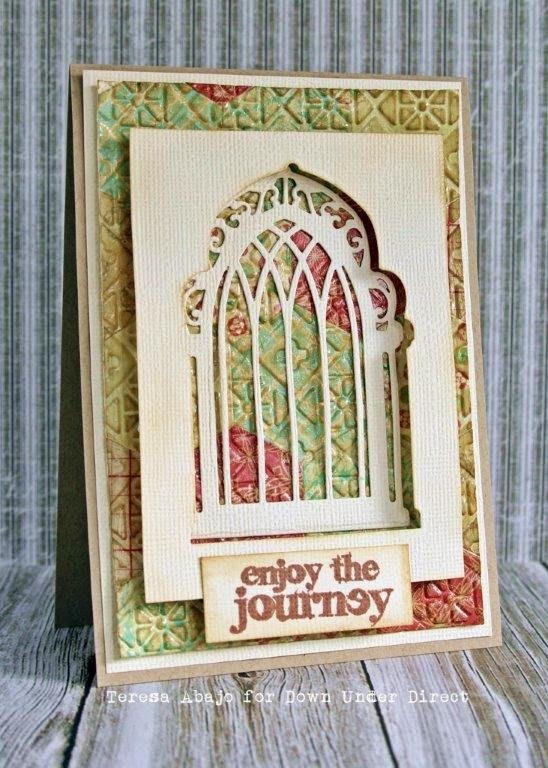 Dry emboss this piece using an embossing folder. 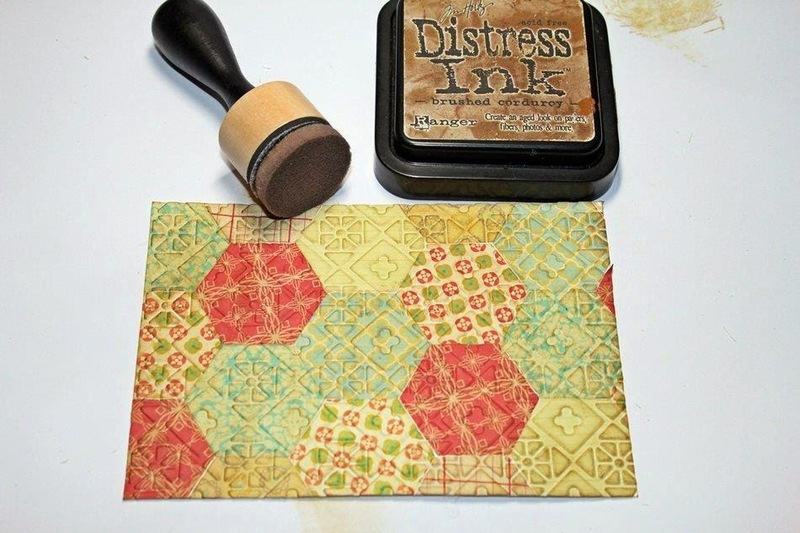 Sponge some brown ink onto the embossed piece to bring out the detail. 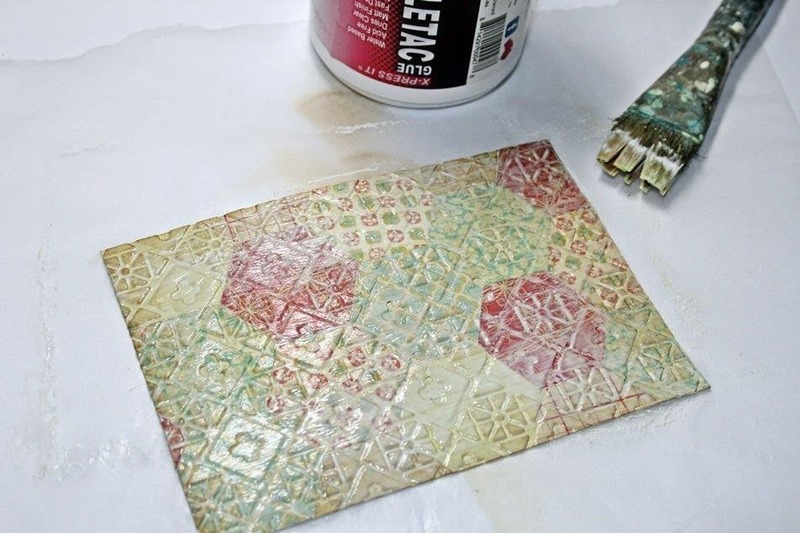 Apply a thick coat of Triple Tac over the top to seal. 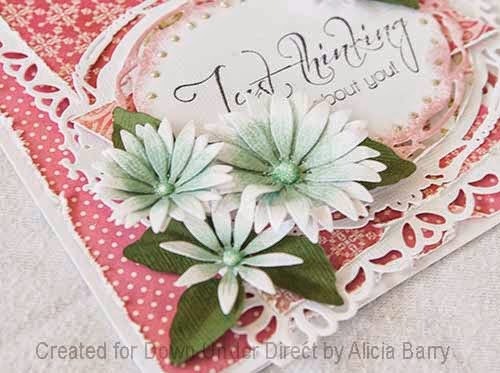 Allow to dry and the result will be a glossy embossed piece ready to use on your project. 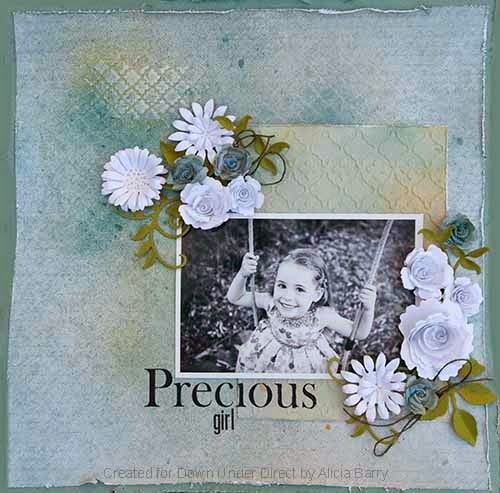 Here we have another pretty layout to share with you. 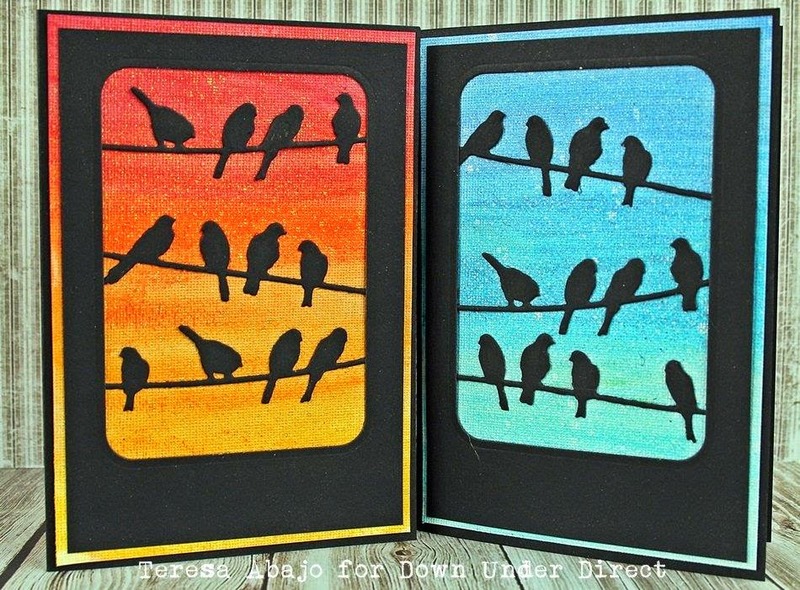 The Birds on a Wire dies make fantastic silhouettes, and what better way to show them off than cut out in black against a colourful background? 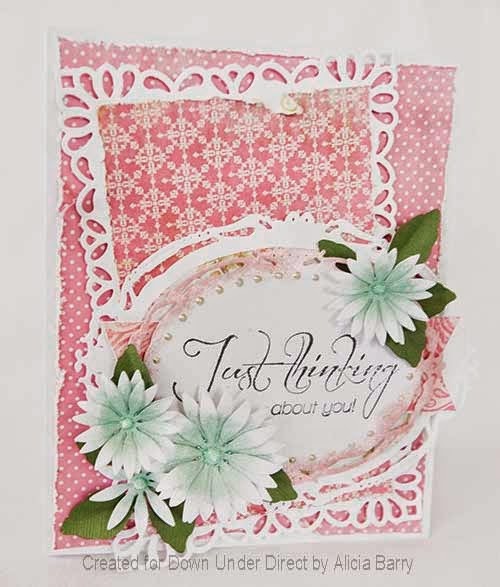 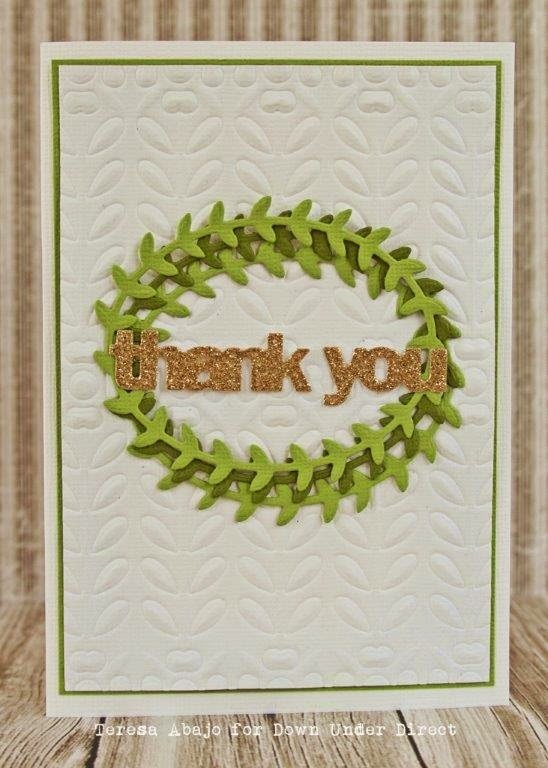 Today we have another pretty all occasion card to share. 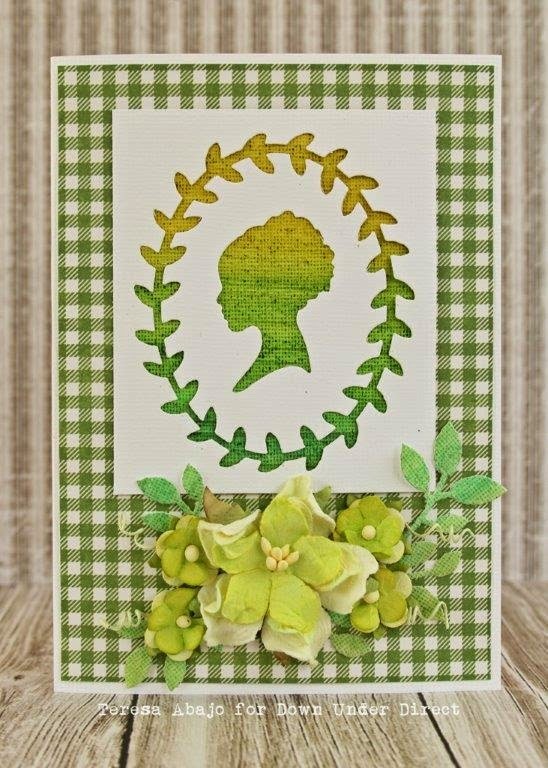 The Silhouette die set has been used to create windows to show a background that has been created using Gelatos water soluble crayons. 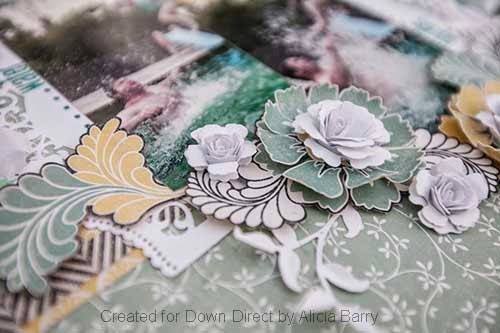 Today we have a lovely layout to share with you.